Brake service and repairs in Cerritos, CA, are available for everyone in the area from Long Beach to Torrance to Fullerton. But, you may not fully understand what to look for when it comes to taking care of your brakes. Your vehicle’s brakes are one of the most important safety features of your car. At Cerritos INFINITI, we want to make sure our local drivers have the information they need to keep their car’s brakes healthy and operating at full stopping power. Keep reading to learn about warning signs to watch out for that could indicate your vehicle needs brake services. And check out the articles on this page for more useful information on brakes. The first step in providing the proper care for your INFINITI’s brakes is knowing and understanding what to look for when it comes to brake problems. Common warning signs are big indicators that mean you need to visit your local brake service and repair provider. These include reduced response and vehicle pulling. Aside from these cues, another common sign most drivers seem to know about is squeaking brakes. If you hear a high-pitched squealing and a grinding noise when you step on the brakes, it’s time to bring your vehicle in for brake service. The sound of your hard-to-ignore squeaking brakes comes from a metal shim indicator embedded in the brake pad put there solely to let you know that your brake pads need to be replaced. It’s crucial to bring your car in for brake service at the first inkling that your brakes are squealing since once the sound turns into grinding, it means the pads have been worn through and the entire system could become damaged. The problems that come out when your brakes are in trouble can be serious. So, it’s best to perform the proper tasks they help keep your brakes in check. These include driving smarter (not slamming on your brakes frequently) and making sure the brake fluid within your vehicle is sufficient and clean. While this can protect and lengthen the life of your brakes, you should still schedule routine brake service and repair at a provider near you. 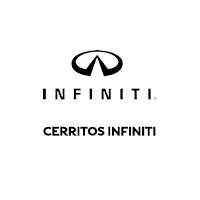 For those coming from Long Beach, Torrance, and Fullerton, CA, that’s Cerritos INFINITI! With trained technicians performing the necessary diagnosis, brake services, and repairs, you’ll be in and out quickly and driving to your next destination in a safe vehicle. If you’re one of the many drivers going through brake troubles, be sure to take heed about the tips and tricks listed above to maintain a healthy system, and schedule your brake service appointment with a provider you can trust, like Cerritos INFINITI. Have a question about your brakes? You can contact our team by clicking the button below.